The union representing Chicago’s airport police officers moved Wednesday to halt the city’s effort to rebrand them as members of a security force — signs of a battle that is emerging as aviation police are under internal review and outside investigation in the wake of the United Airlines passenger dragging incident. Union spokesman Adam Rosen said that without the word “police,” airport users won’t understand the officers have full police powers. He said that Aviation Department workers on Friday began replacing the word “police” on airport cars used by officers with the word “security.” Officers also were told changes may be made to their badges, he said. A carefully crafted statement from the Aviation Department said it is simply “reinforcing our existing policies.” Department “policy has long been clear that while aviation security officers are an integral part of our airport security and operations, that they do not have the same authority as sworn Chicago Police officers,” the statement said. 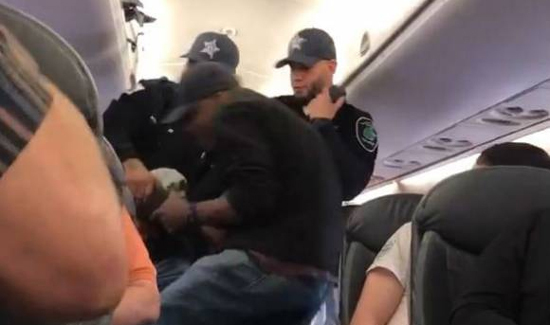 Whether they should be considered cops or security came up two weeks ago at a City Council hearing looking into the April 9 incident, when an aviation officer forcibly removed a bloodied Dr. David Dao of Kentucky from a United plane to make way for an airline employee. Ald. Edward Burke, 14th, noted the word “police” was on the back of the officer’s jacket and asked Aviation Commissioner Ginger Evans if officers had been told to instead identify as security. Evans said that order was communicated in January. Aviation officers are certified police officers, complete with Chicago Police Academy training, and have all the powers of sworn Chicago Police Department officers, the union contends. Aviation officers are not allowed to carry guns, however.